The Supplemental Nutrition Assistance Program-Education (SNAP-Ed) program provides evidence-based nutrition education and obesity prevention services to older adults age 60 and older at eligible Title IIIC congregate nutrition sites and other venues. Eat Smart, Live Strong is the evidence-based program designed to improve fruit and vegetable consumption and physical activity among able-bodied, 60-74 year olds participating in or eligible for Food and Nutrition Service (FNS) nutrition assistance programs. 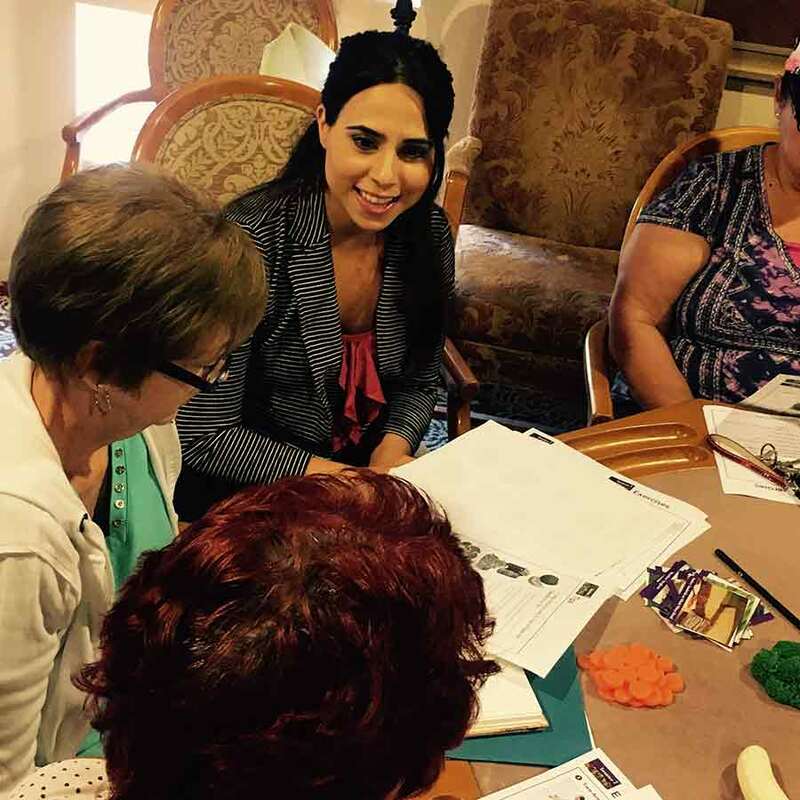 The intervention is designed to help nutrition educators working with FNS programs and in communities deliver science-based nutrition education to the growing number of low-income older adults. Nutrition Counseling is offered by a Registered Dietitian in accordance with State and Federal laws. You can set up an appointment for individual counseling by calling 805-477-7339. The Diabetes Empowerment Education Program, also known as DEEP™, is an education curriculum designed to help people with pre-diabetes, diabetes, relatives, and caregivers gain a better understanding of diabetes self-care. Classes last a total of six weeks, providing participants with eight unique learning modules.